From February 10 to September 18, 2016, Nationalgalerie will present a solo show by Berlin based artist Julian Rosefeldt (b. 1965) at Hamburger Bahnhof. Rosefeldt is renowned not only for his photography but also for his elaborately staged films. The longing for manifestos continues uninterrupted today. This is shown by Rosefeldt's new film installation Manifesto: 13 films running in parallel bring angry, youthful, and amazingly current sounding words to the screen. In fact, Rosefeldt collaged historical original texts from numerous manifestos by artists, architects, choreographers, and filmmakers—including texts by Filippo Tommaso Marinetti, Tristan Tzara, Kazimir Malevich, André Breton, Claes Oldenburg, Yvonne Reiner, Sturtevant, Adrian Piper, Sol LeWitt or Jim Jarmusch. Many of them reveal a surprisingly theatrical and literary power. The vitality and the fury of a young generation is inscribed in the thematic and performative energy of the proclamations. Rosefeldt has condensed this power in text collages. By way of cutting back and combining the texts of various figures, 13 poetic monologues emerged. Julian Rosefeldt combined them with his interest in the work and lifeworlds of the present, bringing the new manifesto texts in this work together with situations of today, with women holding public speeches or interior monologues. They are all embodied and presented by the Australian actress Cate Blanchett. The individual films develop a spectrum of highly individual figures: using costume, make up, location, and her talented acting, Blanchett transforms into figures as varied as a teacher, a puppeteer, a broker, a funeral speaker, and a homeless man. In the role of these protagonists, Blanchett combines the texts with an unexpected, present context. 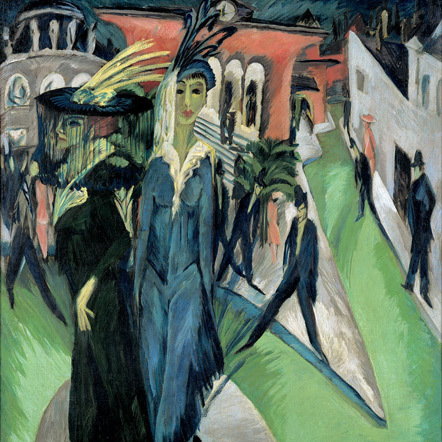 The exhibition was made possible by the Verein der Freunde der Nationalgalerie. We would like to thank Tretford Teppich for their generous support. Manifesto is a joint production of the Nationalgalerie – Staatliche Museen zu Berlin with the Australian Centre for the Moving Image, Melbourne, Sydney's Art Gallery of New South Wales, Hannover's Sprengel Museum and Ruhrtriennale. The project was also created in collaboration with Bayerischer Rundfunk and with the generous support of Medienboard Berlin Brandenburg and Burger Collection, Hong Kong. 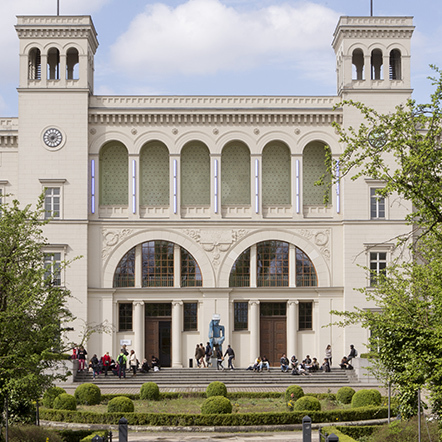 As part of this collaboration, Manifesto was purchased for the museum by Verein der Freunde der Nationalgalerie.